Woo hoo… HALLOWEEN IS UPON US! With a brand new event, comes a ton of new stuff and thankfully one of my jobs here is to tell you just where new items come from. I know we all can’t watch the Best. Show. Ever. as often as some fuzzballs and even though items might seem familiar, a lot of things blur together and you just can’t pinpoint just where you saw it. That’s why we decided to make a fun lil feature for just this predicament. To let you know just Where did THAT Come From? This WDTCF will go over the third prize of Act Two in the 2015 Halloween Event… Clockwork Bart. But didn’t the game already feature a character dressed up as Clockwork Orange i.e. Moog Moe? Was Bart in Treehouse of Horror XXV? When and where did he actually dress up in this? Is it actually from a Treehouse of Horror episode? Let’s check out the TV Series to find out. Any fan of Clockwork Orange probably shouldn’t be surprised to find Bart is also a fan of ultra-violence. I know a lot of folks may not have seen the Stanley Kubrick film (the Simpson writers actually reference his works more often than some realize) or read the novella by Anthony Burgess but that’s why I don’t get paid the big bucks to point out origins just for YOU. Welly, welly, welly, welly, welly, welly, well. In Treehouse of Horror III (S4:E5), Bart is seen in this costume right at the beginning (a trend of a lot of this event). It’s basically just his Halloween costume but I have been known to quote his first line in the episode delivered in Alex’s accent. I think this skin is a slice of gorgeousity. There are definitely tappers who’ve wanted this skin for a while, myself included. There’s not much else to say about the origin of Clockwork Bart. The questline is short but funny and this is certainly an item from the “classic” Simpsons era. What do you think of it? Are you also a fan of Stanley Kubrick and/or the novella? Sound off and stay spooky friends. 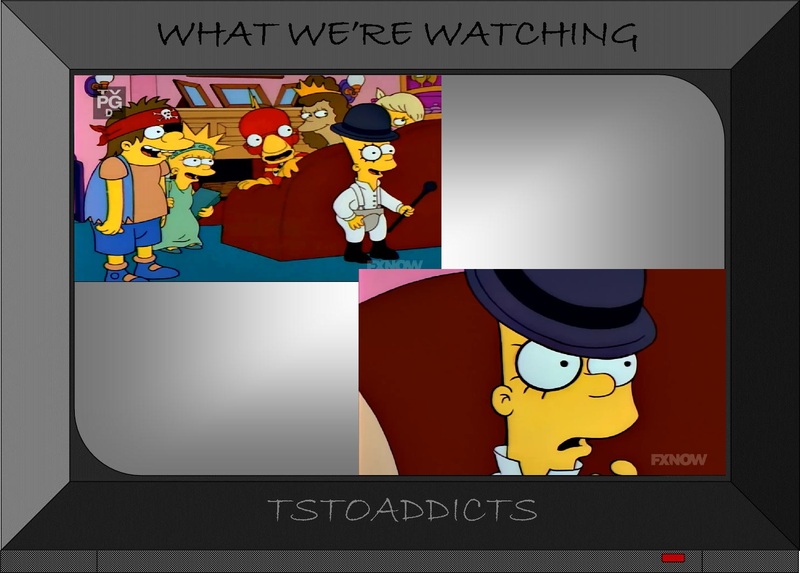 This entry was posted in Characters, Where Did THAT Come From and tagged Act 2 Prizes, Clockwork Orange Costume Bart Simpson, clockwork orange simpsons, Tapped Out Tips and Tricks, The Simpsons Tapped Out, THOH 2015, Treehouse of Horror Event 2015, TSTO Addicts, TSTO Halloween 2015, TSTO THOH 2015 Event. Bookmark the permalink. Am I right in thinking Kubrick directed 2001 a space odyssey ? 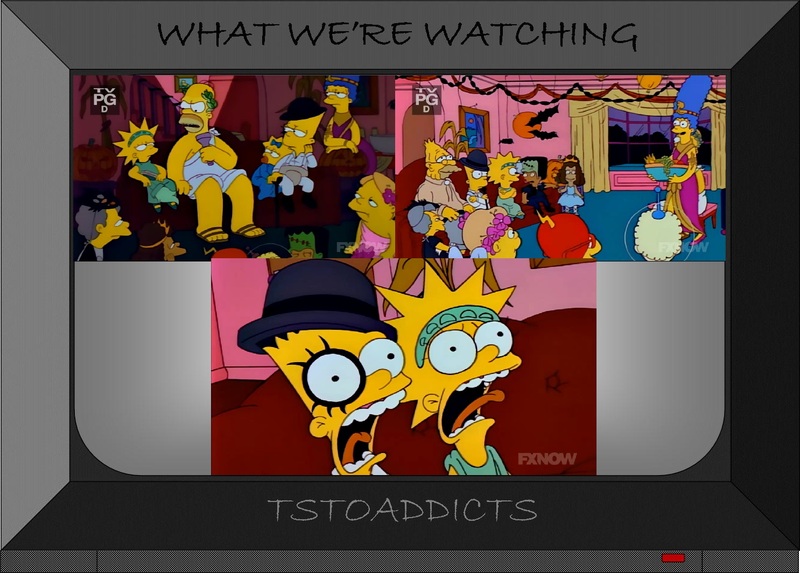 I’m waiting for the THOH Episode-Recap (I have alot on my mind and wondering how mutual these thoughts and feelings are). I got a very weird glitch in my game today that turned one of my buildings into a bunch of brown lion heads. Have a screen shot of it but cant upload it. Me too, I’m excited to get this costume. I have to admit of all the costumes given this Halloween Event, this was the one I wanted the most! I’m not picking up anything else! Great! Can’t wait for the post about Tenta-Corp HQ.